A Conjuring Mischief exclusive figure at Stranger Factory this Friday with a limited amount for the Skelve group exhibition opening (they will also be part of the online exhibition sale Monday May 5th!!!). Behold the “Keshi Monster Skelve” Standing at 3.5″ tall… this horrific take on Circus Posterus’ classic mascot was designed and sculpted by the almighty Zectron with production by Trutek— more info coming soon!!! Contact the gallery for more details! We have been busy showing you work in progress images from Conjuring Mischief, but we thought we would give you a look at 4 finished pieces we have taunted you with. Get ready to see Skelves that range from the classic style of Travis Lampe, to the beautifully painted Candice Tripp, the majestic Scribe sculpted Skelve, and the wool fabricated finesse of Lana Crooks. 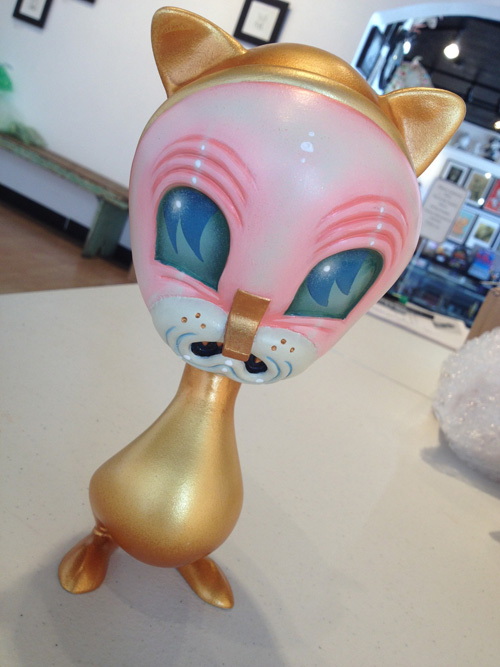 Travis Lampe’s skelve shines with gold and exudes expression with a custom sculpted mask. Classic Lampe style! 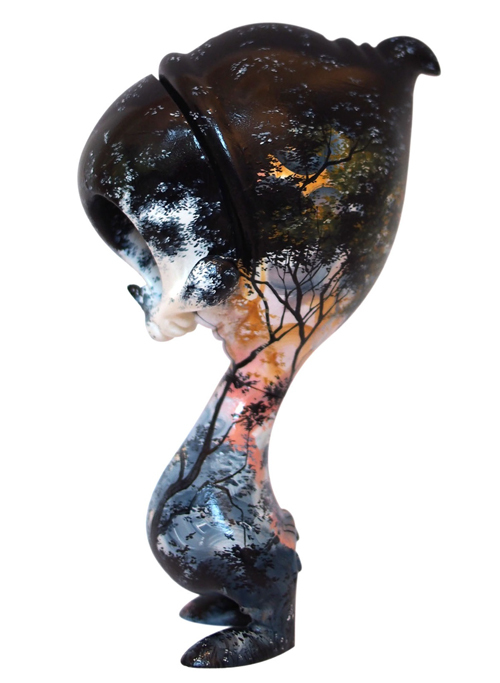 Candice Tripp worked her elegant detailed painting skills with a beautifully painted skelve. Wait until you see the detail on the leaves up close. 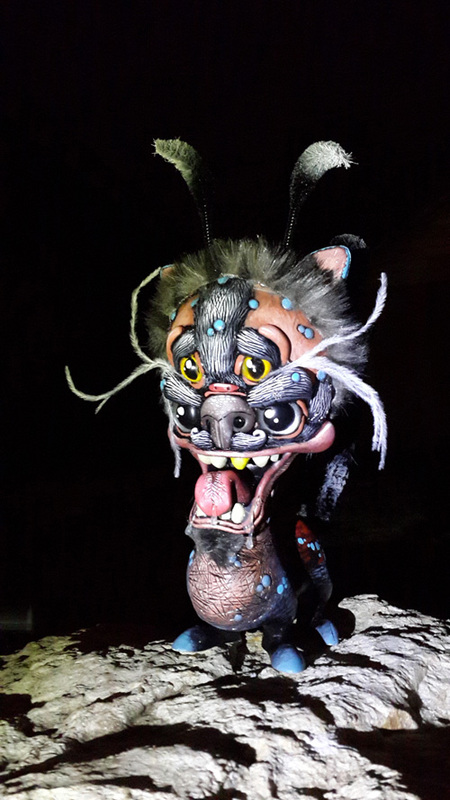 Scribe put his sculpting skills to the test with a 4-legged Skelve that evokes a Chinese dragon parade. Lana Crooks also used a 4-legged skelve and let the skeletal system be the star with a fabric inspired structure. That tail!!!! We have much more to show you, so keep your eyes locked on all our social media outlets. “Conjuring Mischief” opens this Friday, May 2nd and runs through June 1st, with an opening reception on Friday, May 2nd from 6 – 9 PM. Creatures of the Sunday Night, with Brandt Peters! 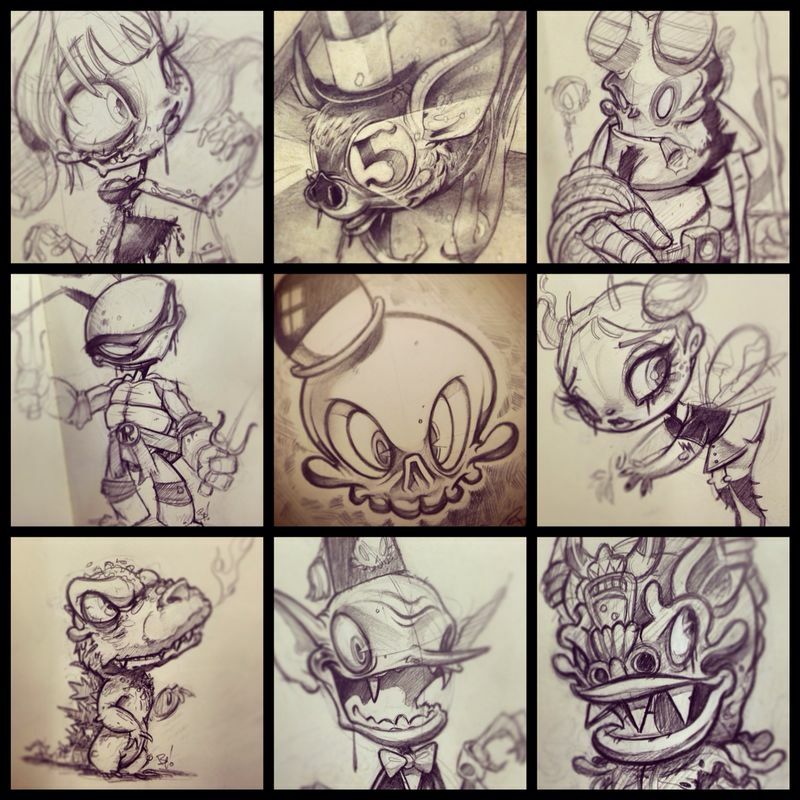 Based on the success of my Instagram character design archive, Creatures of the Night, I wanted to invite everyone to contribute and draw together with me in the same Instagram studio! This is open to every character designer of every class, caliber and style – the only requirement is that you get your themed character design posted on Instagram by midnight(your own timezone) every Sunday! 1. 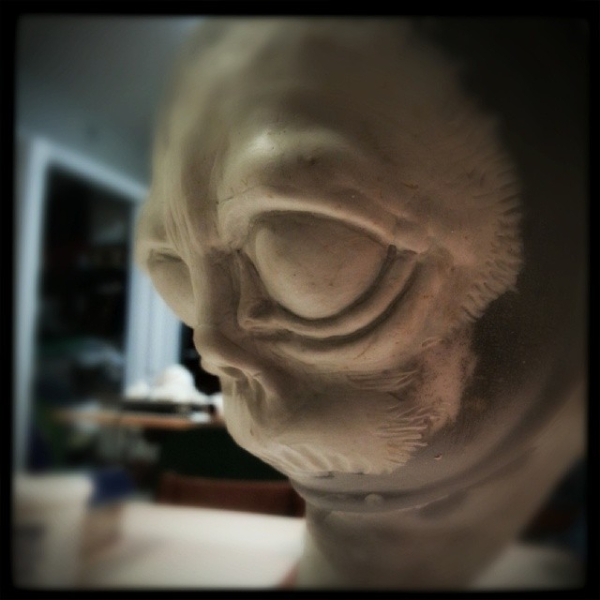 Every Sunday morning, I will post a creature theme on my Instagram feed. This slide will contain a word, a image or some combination thereof. 3. By midnight on Sunday, post your creature character design on Instagram with the hashtag #creaturesofthesundaynight! You must add this hashtag to be connected to the community, and so we can all find your work. 4. 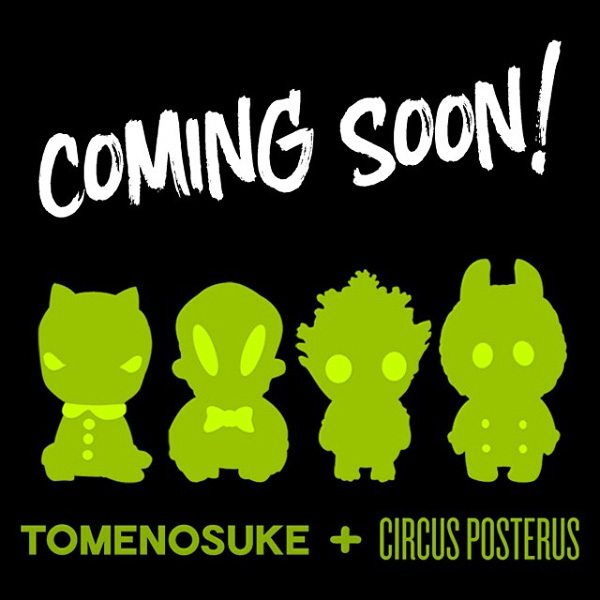 If you would like a critique, add your image to the Creatures of Sunday Night thread on my forum, The Sideshow(circusposterus.com/sideshow)! I will try and do critiques every Monday, and I encourage everyone to share and discuss everyone’s work as well. In addition, this will help to serve as a permanent archive of our work. We can build this amazing character archive together! All of us have days where we want to draw and design, but it can be hard to get started sometimes. I’m hoping that Creatures of the Sunday Night will come together as a community of creators inspired, motivated, challenged and connected. Soon, we’ll announce contests, events and shared experiences planned through #creaturesofthesundaynight – help us build this community together! I’ll be announcing the first theme TOMORROW MORNING, so stay tuned to my Instagram feed for updates! Just in case you missed something we posted on our social media outlets, we have a weekly roundup of all the goods right here! Wrapped up in a nice bundle, we have numerous looks at finished and work in progress skelves for Conjuring Mischief. 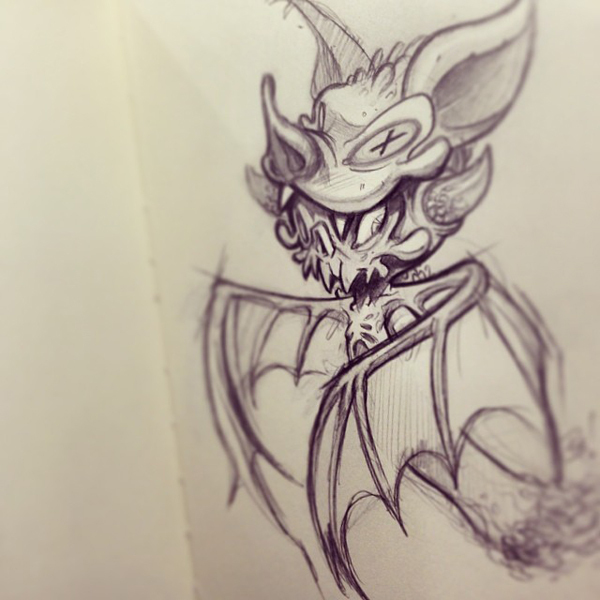 Brandt posted this amazing sketch last night as part of his “Creatures of the Night” series, but it got even more interesting with what he wrote after. 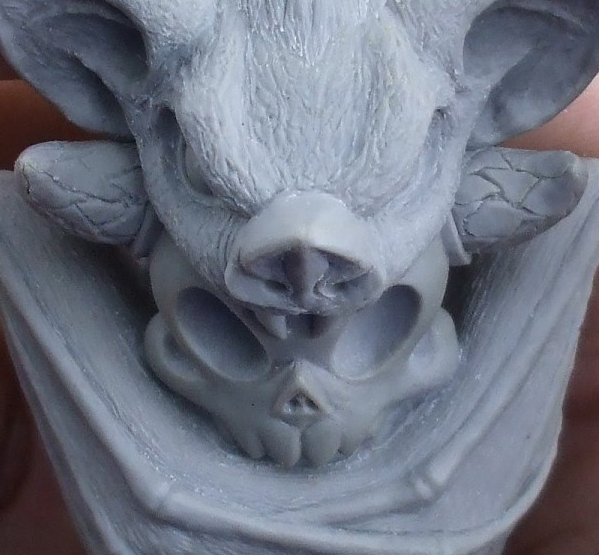 So it looks like Zectron and Trutek will have an edition “Monster Skelve” at Conjuring Mischief, and we know it will make almost the entire Skelve loving population go “squeeee” because it is very bat-like! Since it is Friday, and we want everyone to have a good weekend, here is a little teaser. Only one week to go until Conjuring Mischief! Lana Crooks and the wool Skelve mask. 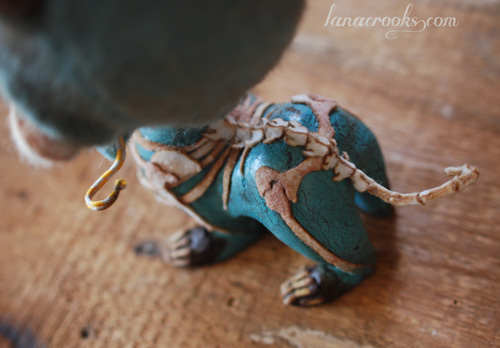 One of our favourite things these days has been the wool felt sculptures of Lana Crooks, especially her little skulls, rendered perfectly soft and fuzzily. For Conjuring Mischief, she’s applied her intricate laser cut wool magic to a very special one – belonging to the Skelve, of course! 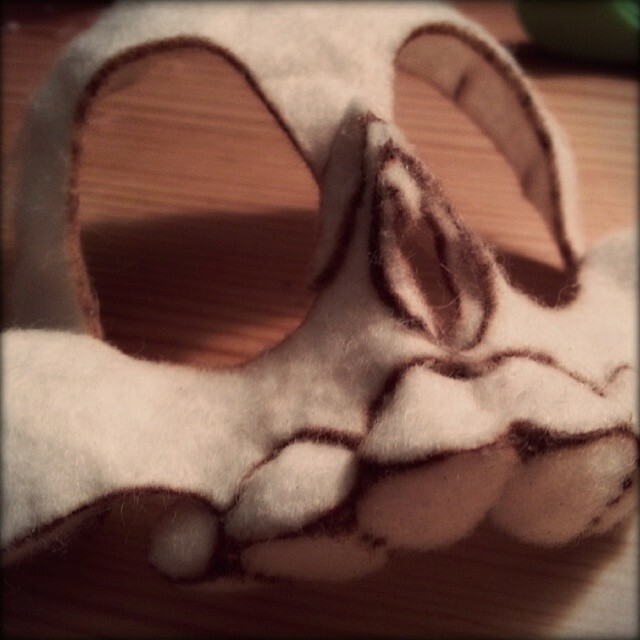 Lana’s rendition of the Skelve mask is delightful, and we can’t wait to see what the rest of her Skelve will look like. She’s been promising us some updates on her Instagram feed, so stay tuned! “Conjuring Mischief” opens May 2nd and runs through June 1st, with an opening reception on Friday, May 2nd from 6 – 9 PM. 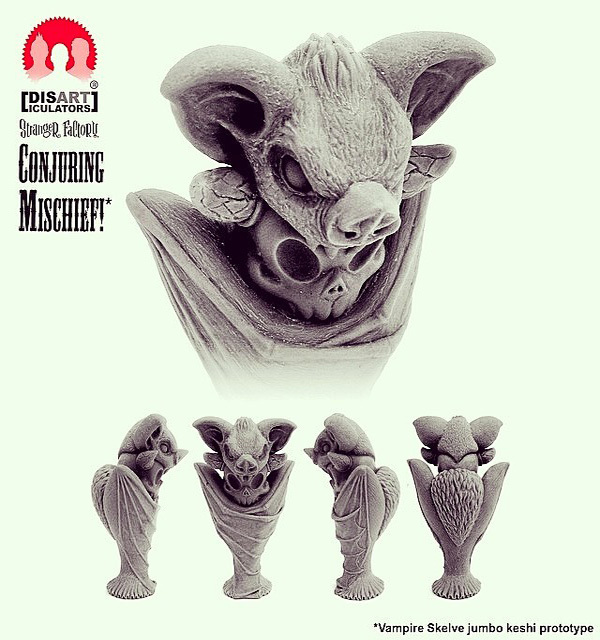 Just in case you thought Conjuring Mischief couldn’t get more amazing, we will see the release of another exclusive Wandering Misfit to coincide with the show! 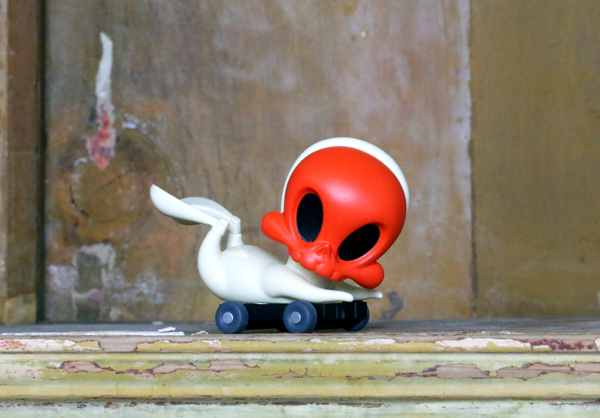 This time around, the Wandering Misfits mini series by Kathie Olivas and Brandt Peters from Cardboard Spaceship welcome the Red Death Pull Cart Skelve to the fold! This little trouble maker rolls into Albuquerque for the Conjuring Mischief opening on May 2, but have no fear, Misfit lovers, because we’ll have you covered too. The Red Death will be available on our online store on Monday, May 5 at a random time for those who can’t make it to Stranger Factory. We also sent a small handful over to our friends in Singapore at Adventures in Kitsch / Ozzo Collection to spread the Misfit love around the world. Limited to only 100 at $15. One per household. Kathie posted this gem on her Facebook this weekend with the tag “Working on a new project that finally gives me a good excuse to finish an old project….#Calliope“. What could it be? We can’t wait to find out! Baby Tattooville 2014 is in full on prep mode, and tickets are going fast already. Circus Posterus is proud to be a sponsor again of this annual weekend-long event celebrating the contemporary art community. 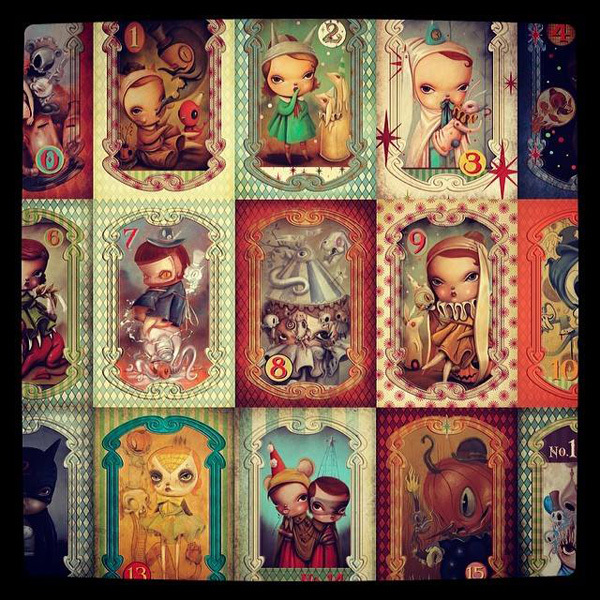 So far only a handful of artists have been announced including Tara Mcpherson, Brom, Laurie Lee Brom, Michael Hussar, and Joe Sorren with many more added as we get closer to the opening date of October 3rd. As of right now, there are only 27 tickets remaining , and we all know these will not last until October. Baby Tattooville’s intimate and immersive atmosphere provides an opportunity for a small number of paying attendees to spend the weekend participating in both scheduled and spontaneous activities with the event’s featured artists, creative partners and surprise guests. 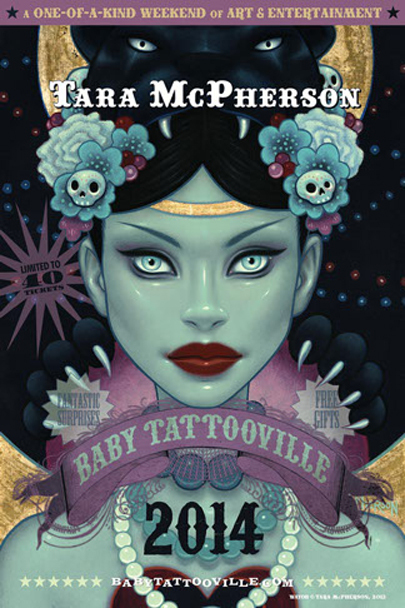 In addition to social and creative interaction with fellow participants, Baby Tattooville attendees receive an eclectic assortment of collectible gifts courtesy of the participating artists and sponsors. Attendees are also given an exclusive opportunity to purchase original art and limited edition merchandise created by the event’s featured artists. The price of the event includes Friday and Saturday night hotel accommodations, several meals including a Sunday brunch buffet, an eclectic assortment of unusual panels and presentations, and access to all of Baby Tattooville’s strange goings-on. 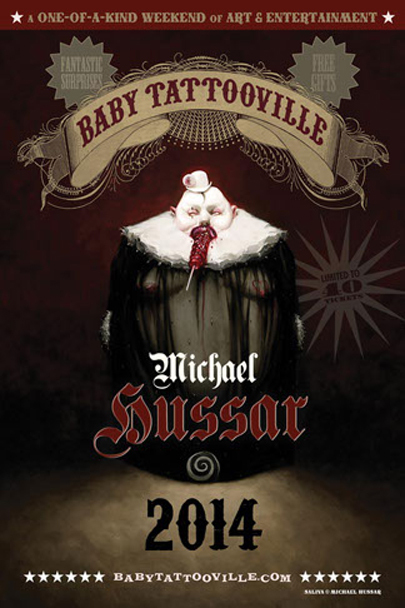 For more information or to purchase tickets, please visit the Baby Tattooville site here.